If you ask me which fruit is my favorite, I will tell you that figs are. 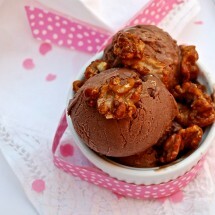 If you ask me which dessert is my favorite, I will tell you Ice creams are. And if you ask me what would I do in Madagascar… I will tell you: no beach for me, just looking for the best vanilla in the world!!! Can you imagine how mouthwatering is the sight of this gelato for me? 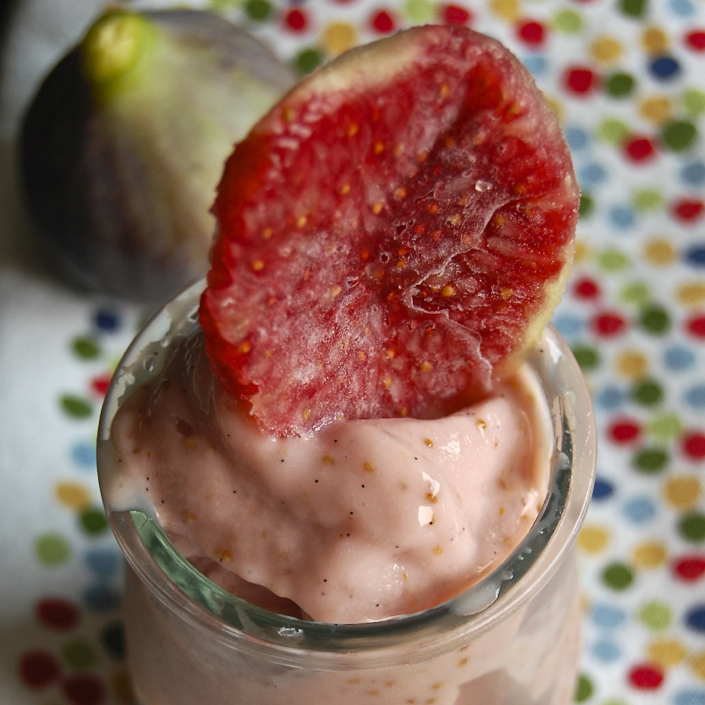 The combination of these three ingredients makes it a winner :D. Now that figs are starting to show up at the markets and now that I have a fig tree in my terrace that has been kind enough to give me more than 5 figs (that was last year’s), it’s the right time for a delicious Figs and Vanilla ice cream! 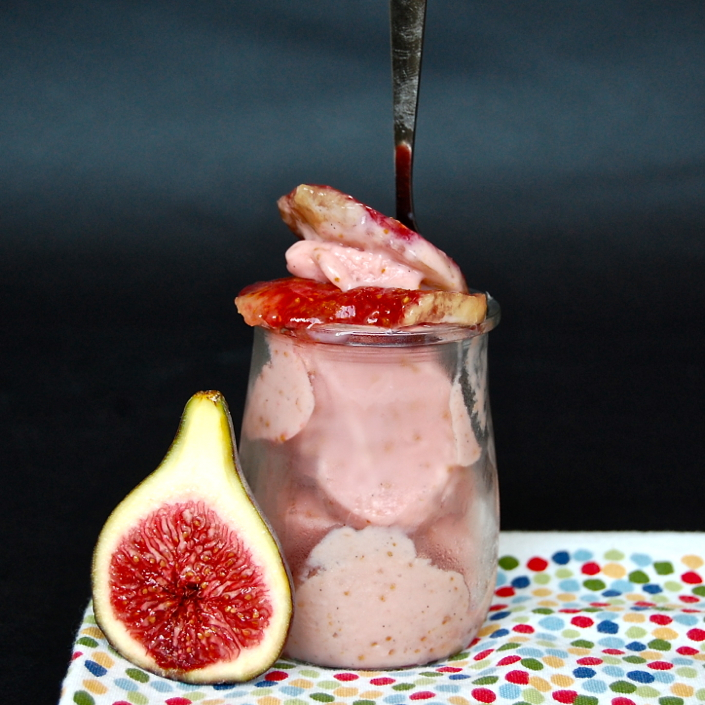 If you are not into ice creams but love figs, take a look at the suggestions down at the bottom of the post… you can go savory with figs and ham or with foie… gosh! 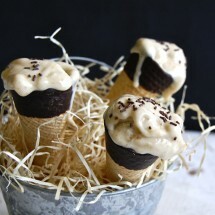 The thought of it makes me drool ;D.
I can’t stop making ice creams now that I have the Ice creams maker! However, if that is not your case, it’s really easy to make your own ice cream without the machine. Look hereunder for instructions :D.
Now that days are still hot and that Fall starts giving us it’s particular fruits, we must take advantage and enjoy simple pleasures! 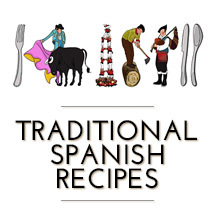 Recipe adapted from Locos por…los helados (Saber vivir) an ice cream recipes book from Fabio Asti and Anna Prandoni. 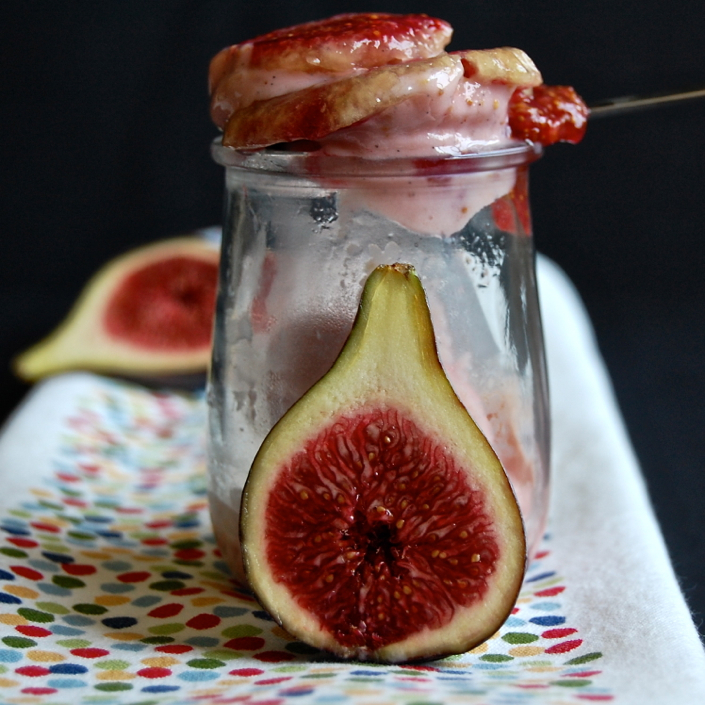 Ingredients for 6 to 8 servings: 300 grs of figs red meat and 3 figs more for decoration, 150 ml of mineral water, 200 grs of whipped fresh light cheese cream, 80 grs of white sugar, 20 grs of inverted sugar (see how to prepare it here), 20 ml of lemon juice, 1 vanilla pod. If you don't want to use inverted sugar just use 100 grs of white sugar for the recipe. But if you do, you will get a creamier ice cream and will avoid crystallization when you freeze it. Peel the figs till you get the 300 grs. Place inside a pot together with the sugar, the water, the lemon juice and the vanilla pod (previously make a cut from top to bottom so that the seeds can go free). Caramelize the mixture and when it gets a puree density turn the heat off, take out the vanilla pod and beat with an electric mixer. 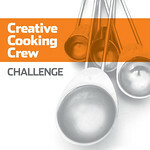 Pour the mix inside a large jar and place inside the ice cubes bowl so that it cools down quickly. When cold, add the cheese cream. Mix well and keep in the fridge until it's completely cold. Before you pour it inside the ice cream machine make sure the paddle is turning and have it working till you get the consistency you want. Mine took 25 minutes. 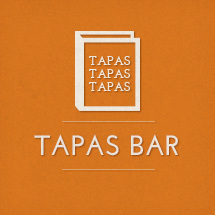 It will depend on your ice cream maker and the quality of ingredients. 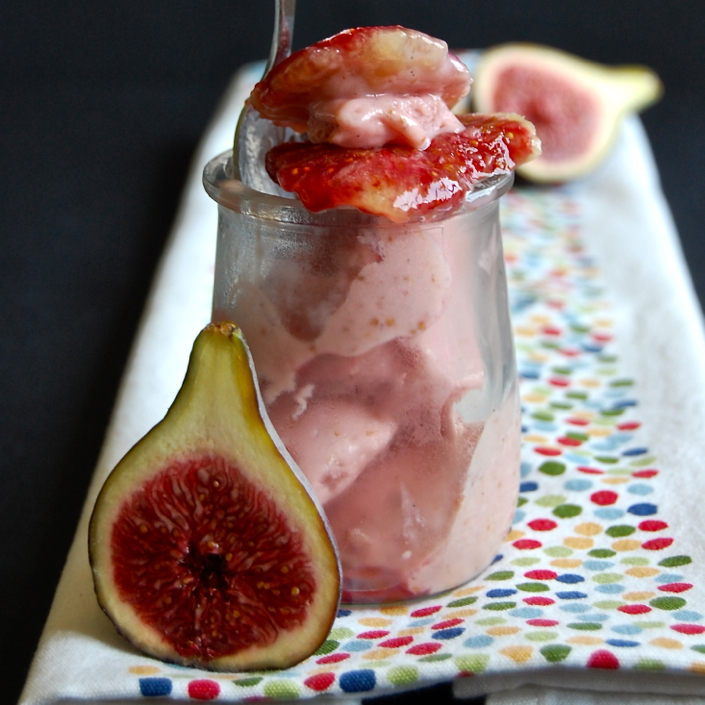 Use some raw figs to present the ice cream. I froze some slices to get some contrasting colors there. If you don't have an Ice cream maker, just follow same steps; when it's cold from the fridge (this time use a large but flat container) place inside the freezer and till it with a fork every two hours to avoid crystallization. If you used inverted sugar, this process will be easier. I made this recipe and I didn’t really like it because it wasn’t my type of flavor. But the recipe was nice and simple and something I enjoyed making. Thank you.